We’re one of the UK’s largest FMCG contract packing, high care manufacturing and food oil pressing companies. We supply speciality contract filling, pressing and packaging services to major grocery retailers, High Street brands, global food manufacturers and SMEs. By combining expertise, technology and quality, we deliver millions of finished products to our customers every year, handling all aspects of production to make their lives easier. 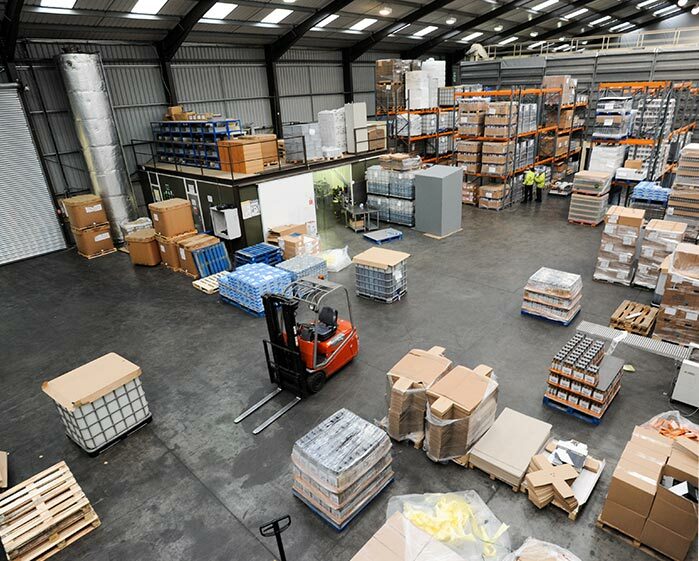 Every year we fill, pack and despatch millions of food products for our customers nationwide and around the world. With a reputation for flexibility, innovation and reliability, we are the contract packer of choice for global brands, national customers and growing businesses. Our in depth knowledge allows us to match your product with the ideal packaging solution that meets any specification. Our cold pressed oil facility is the largest in the UK. We can cold press any seed, locking in more of its goodness into the finished oil. We press and filter millions of litres of food oils each year in food-grade facilities supplied by rigorously monitored seed suppliers - all of which meet the highest food growing and production safety standards. Our customers are our biggest advocates. We supply products to clients in a diverse range of sectors, each with their own unique requirements and specifications, and we work hard to make sure we deliver what they need each time. Read more about who we work for and what they say about us. We are Phoenix Group, the company behind Phoenix Contract Services and Phoenix Speciality Oils. Established in 2007, today we’re one of the UK’s leading suppliers of speciality contract filling, labelling and packaging services and the largest producer of cold pressed seed oils in the country. Every year we fill, pack and despatch millions of FMCG products for our customers. We combine our team’s extensive food production expertise with the latest in contract packing technology to deliver for our clients on time, cost and quality. We also press and expertly filter millions of litres of high-quality seed oils for all the major FMCG retailers across the UK, providing a truly ‘end-to-end’ service from seed to shelf in our purpose-built factory in Nottinghamshire.